Our portable hockey gear drying racks offer a safe, hygienic way to keep your equipment dry. 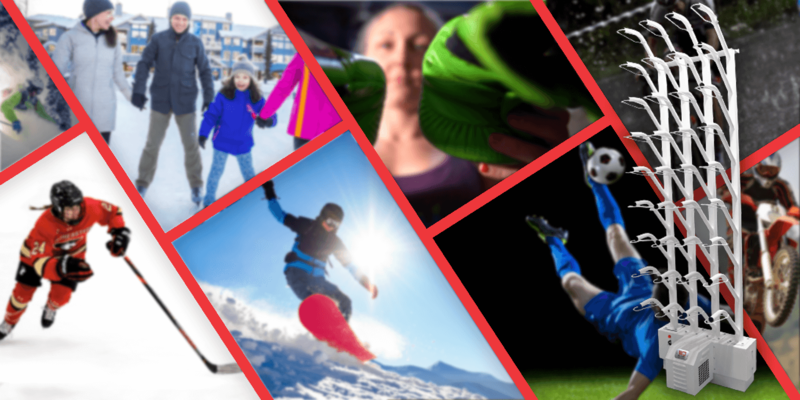 Our sports dryers have been trusted for decades on the ski slopes, so it comes as no surprise that Williams Direct Dryers is equally trusted when it comes to the hockey rink. Athletic equipment does not always fare well under the hard-hitting action on the ice. Uniforms are left sopping wet after practice, which means slow drying times and potentially damp gear for your next practice. Our hockey skate dryers are a fast, efficient way to achieve clean, dry equipment without long wait times. Our hockey gear and equipment dryers are built with lightweight aluminum construction, which weighs only 29 pounds. Each drying rack comes with a convenient, padded travel case made of heavy-duty nylon so it can be transported safely to and from the rink. Our travel cases make it easy to carry your hockey gear dryer with you from practice to nationals and all the way to the championships. The benefits of our sports dryers are unmatched. Williams Direct Dryers participated in a scientific study at the Akron Children’s Hospital which tested our dryers on their flight helmets. The study, conducted over a period of 13 months, concluded that our dryers effectively reduced microbe quantities by 99.95 percent and 100 percent of microbe varieties with proper use. Our dryers help prevent harmful fungus and bacteria which often lead to infection in athletes who use their equipment regularly. With a rigorous drying routine, the risk for illness is reduced significantly. 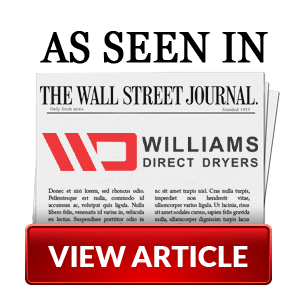 Each Williams Direct Dryers hockey skate dryer comes with a two-year warranty on electrical components and a five-year warranty on labor and materials on the superstructure. 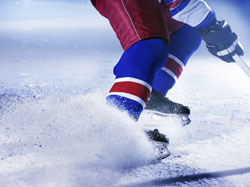 If you experience any kind of equipment failure, simply let us know and we will be in touch to ensure your hockey equipment dryer is in working order. Don’t wait to improve your hockey game – contact us today to learn more about portable gear dryers you can count on.